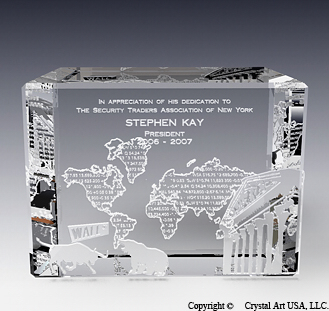 Our Wall street award is the ultimate recognition gift for financial industry professionals. The facade of the New York Stock Exchange overlaps with the world map composed of ticker symbols. The foreground features a raging bull and bear fighting for market dominance.